We spent quite some time finding the packaging we felt best fit PS Weddings, we have tried metal cases, standard DVD boxes and we had even considered faux leather cases but all of those options felt a little like we weren’t offering anything special for our couples. We wanted to send out our images and video in a way that felt exciting for our newly weds, something that could be unwrapped and explored and so we opted for hand built packaging/boxes, complete with personalised luggage tags and our PS Weddings logo stamped in the corner. If you choose option 2 of our combined packages, your disks will be presented in this packaging, a personalised set of lazor etched DVD disks, one for all of your images, the other for your videos. 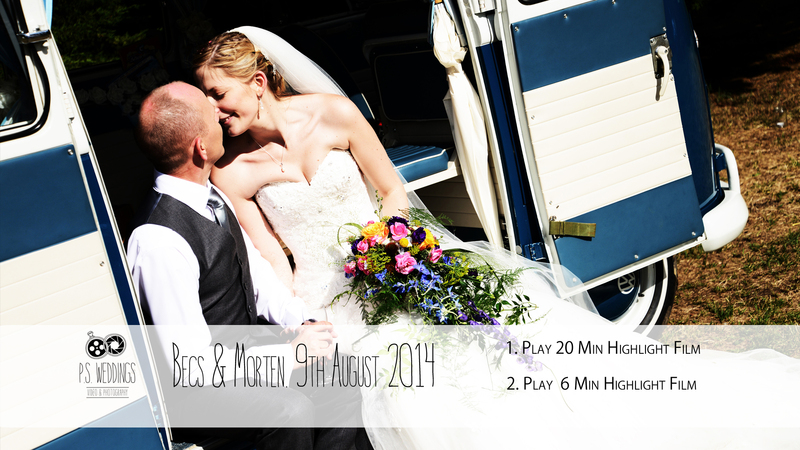 Your films will be presented on a DVD with custom menu, using images from your big day. You will also receive your mixed image thank you postcards.